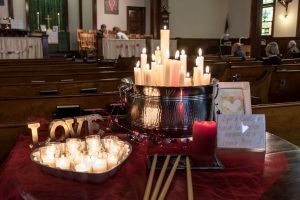 If you want to make a planned gift to Richmond Congregational while you are alive and receive an income for life, a charitable gift annuity might be the right tool for you. A Charitable Gift Annuity-or CGA-is a gift that pays you income for life. When you establish a CGA, you give cash or appreciated stock to charity, and in return, you receive a fixed income for life and an immediate income tax deduction. RCC has partnered with the Vermont Community Foundation to administer this program. The minimum amount to establish a Charitable Gift Annuity is $25,000. Next step: If you are interested in creating a Charitable Gift Annuity or learning more about them, please contact the church office and we will help put you in contact with the Vermont Community Foundation who administers this program for RCC.